We wanted to offer the flexibility to accommodate all these types of special events and limited availability appointments alongside the usual ongoing availability for appointments during regular business hours. 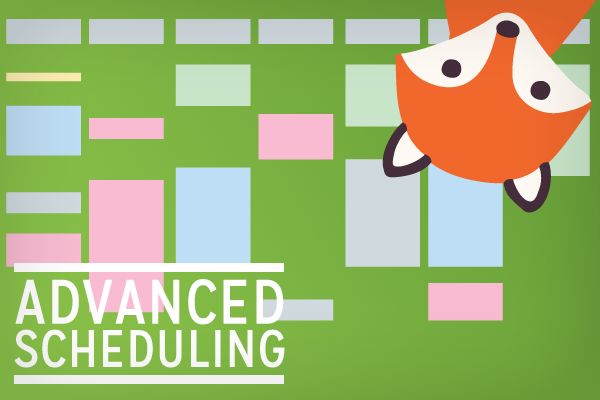 So we’re introducing Advanced Scheduling Options! The booking window specifies when the appointment type is available for booking, while the availability window specifies when the actual appointments will take place. Let’s take a look at an example. You want to take 30 minute appointments for interviews during a job fair that’s happening from November 1-3, 2018 from 9am to 5pm. Attendees of the job fair should be able to come to the website to book these appointments starting at noon on October 15. Set the availability window for the appointment type to November 1, 2018 at 9am until November 3, 2018 at 5pm. That will make sure appointments only get booked while the job fair is going on. Set the booking window for the appointment type to start on October 15, 2018 at noon. That will prevent attendees from sneaking in early to book their appointment before the booking should be available. Both the booking window and the availability window can be left open-ended at either end. For example, above we only set the booking window start time and didn’t define an end time. The booking won’t begin until October 15, 2018 at noon, but will continue indefinitely into the future. In this case, the availability of those appointments is also constrained by an availability window, so attendees of the job fair won’t be able to book appointments once the job fair is over. Alternatively, you could leave the booking window start date empty to indicate that appointment booking should be available immediately, but then set a booking window end date to indicate the final day customer should be able to book that appointment type. We think this type of flexibility for handling special cases and limited-time events is crucial for a WordPress appointment booking plugin, so we wanted to be sure to include it for those folks who find themselves in need of these features. We’ve needed these features ourselves and know they were impossible to find! 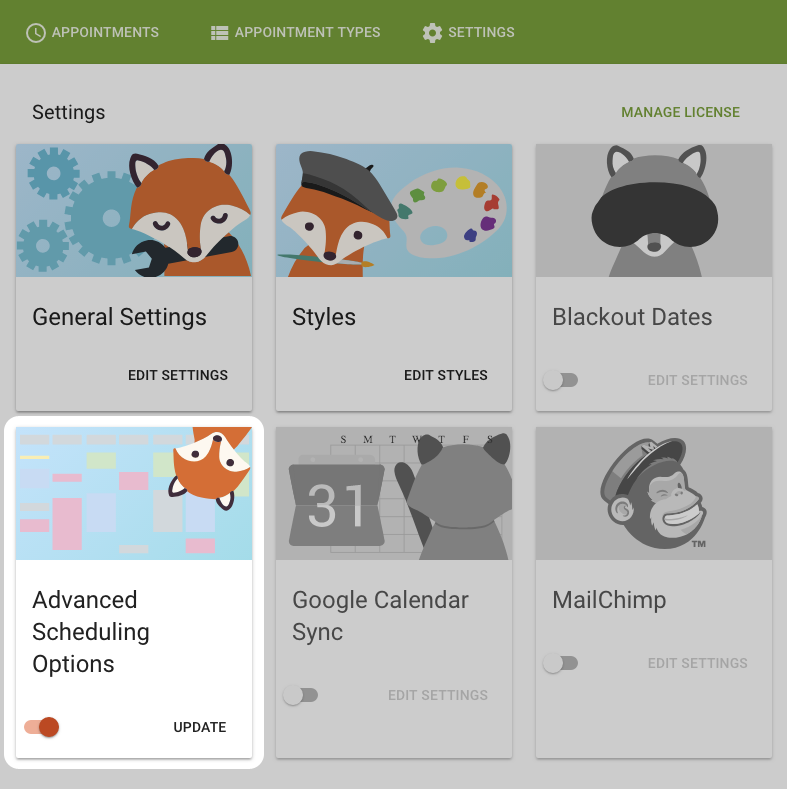 Advanced Scheduling Options are available in all versions of Simply Schedule Appointments.